Irish Jam Rock - Till it changes. 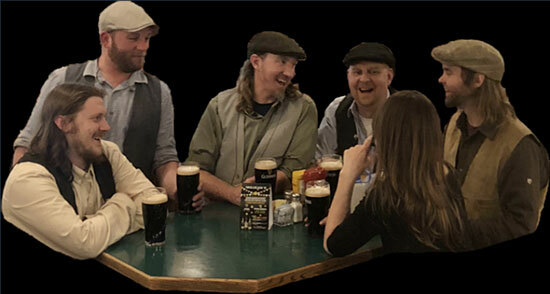 Playing a blend of original tunes, traditional irish songs and our favorite Classic rock/jam band covers performed with 4 part harmonies and smiles ear to ear. Few other artists exude such a fun loving, happy and familial energy on stage or in life. Are Ye Ready For It?